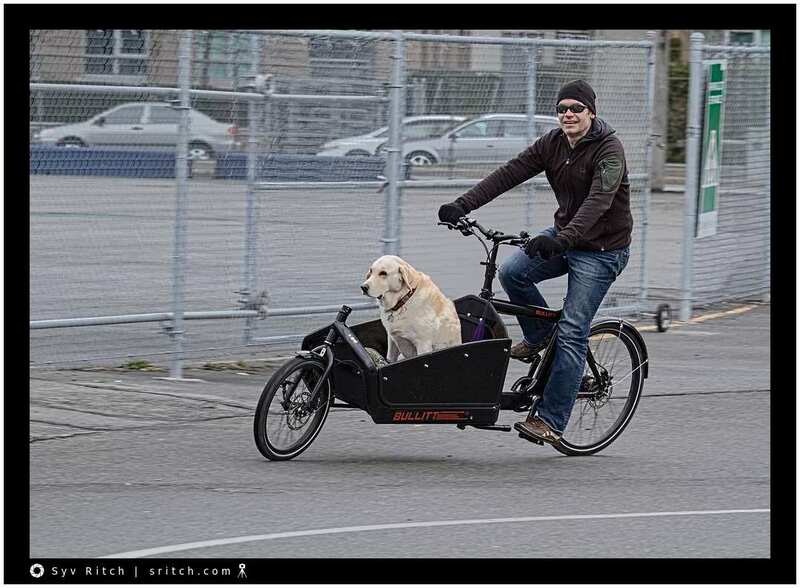 The Bullitt bicycle is a cargo bike that is made in Denmark and is sold in town at only one specialty bicycle shop here in Vancouver, BC. It’s supposed to be the fastest cargo bike in the world. 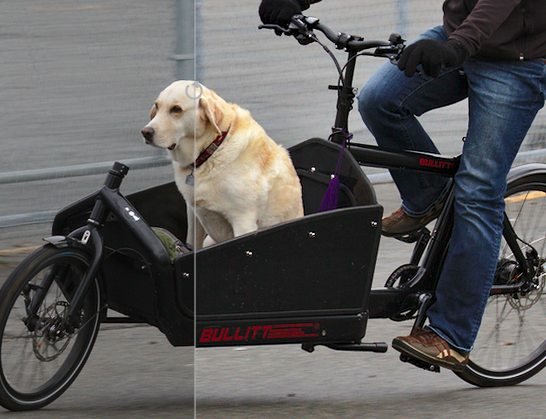 The Golden Retriever is the cutest option available for the bike.